The latest vintage of Delheim Chenin Blanc Wild Ferment has been released. The fourth vintage of this wine is renowned for the sublime intensity of flavour and aroma. Delheim Chenin Blanc Wild Ferment 2017 forms part of a distinctive portfolio of well-crafted wines. In the glass, this Chenin Blanc shows a vibrant colour of pale straw with a green hue. Its sensory character is reminiscent of barley, apricots and peaches, underpinned by well-balanced acidity and oak. On the palate, citrus emerges and lingers. In addition to its spontaneous fermentation by indigenous yeast, the wine is matured in 500 litres French oak barrels to emphasize depth of flavour on the palate. The approach has made every new vintage of Delheim Chenin Blanc Wild Ferment enthusiastically anticipated by the wine-loving public. The wine is a calling card for the Stellenbosch stalwart’s environmental focus. As a WWF-SA Conservation Champion, Delheim is acknowledged as an industry leader for its commitment to conservation, responsible production practices, integrated environmental management systems. It is also a founder member of the Greater Simonsberg Conservancy under Cape Nature’s stewardship programme, actively participating in protection and conservation through sustainable practice. Among its initiatives, Delheim uses a bio-natural water management plant that recycles all cellar wastewater on the farm; takes care to preserve substantial tracts of mountain fynbos and promote a healthy biodiversity. Grapes from each were harvested at different ripening stages and their fruit treated differently in the cellar – one whole-bunch pressed, the other destemmed and crushed. The juice was settled for one day still containing particles as this was settled by gravity. It was racked, where the juice was allowed to ferment by indigenous strains of yeast, naturally occurring in the cellar environment and vineyards. 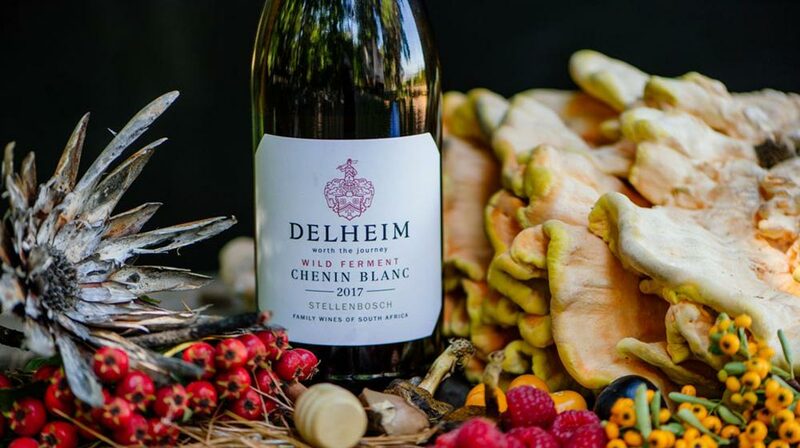 By allowing a variety of strains to ferment the juice, along with the ageing of the wine on its fine lees, contribute to the unique character of flavours and aroma that result in the beautiful Delheim Chenin Blanc Wild Ferment. 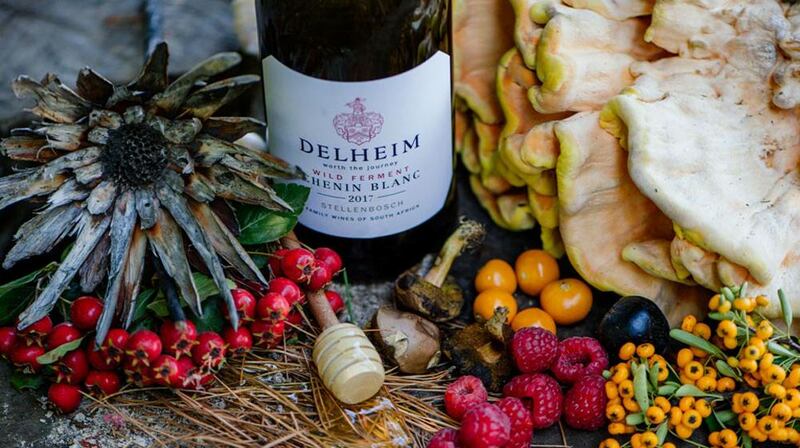 Delheim Chenin Blanc Wild Ferment 2017 will pair well with servings of herb-crusted goat’s cheese, oyster mushrooms and southeast Asian-inspired dishes. For vegetarian dishes, try this wine with wild mushroom risotto or mustard and honey-glazed carrots. Delheim Garden Restaurant likes to pair this with Masala Chicken Salad. Delheim Chenin Blanc Wild Ferment 2017 is available from the winery, on the wine lists of numerous fine restaurants and at leading wine retailers. It is priced to sell from R125 a bottle.